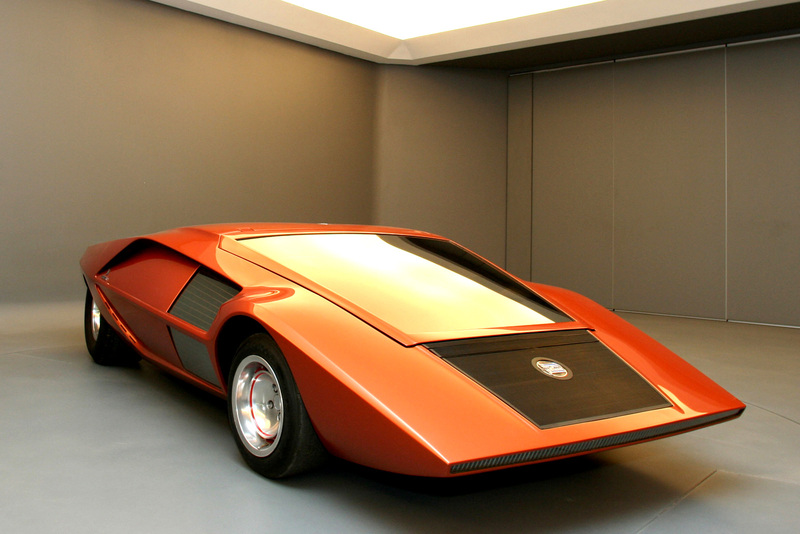 The car from the future that was born 42 years ago. 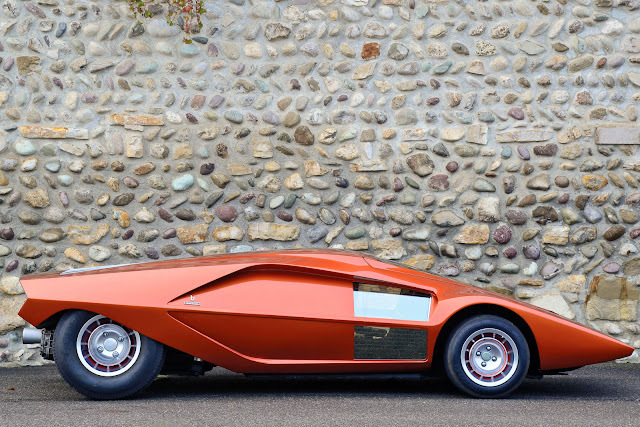 The futuristic looking Lancia Stratos Zero HF prototype was a daring exercise in streamlined design by Bertone. 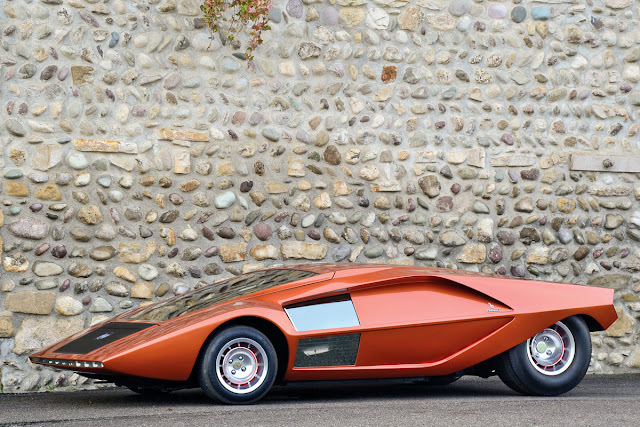 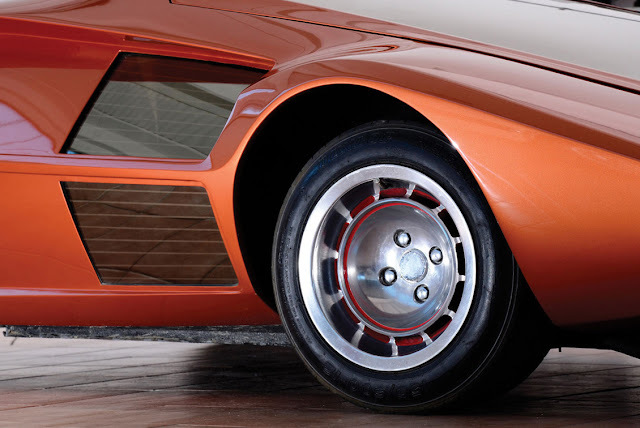 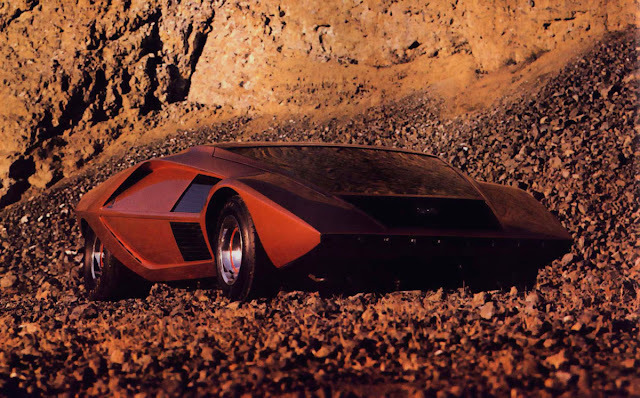 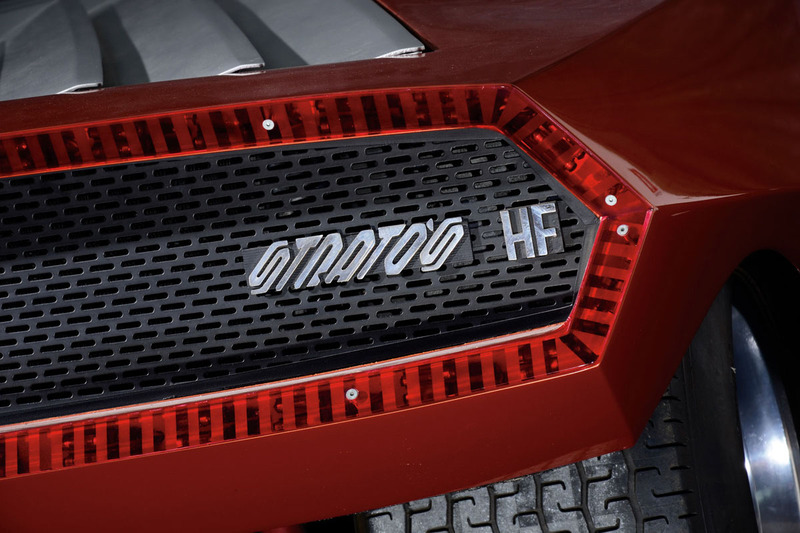 The Lancia Stratos Zero HF Prototype was first show at the Italian Turin Motor show in October 1970. It was a futuristic design with a wedge shaped profile and stood just 33 inches (84 cm) from the ground. 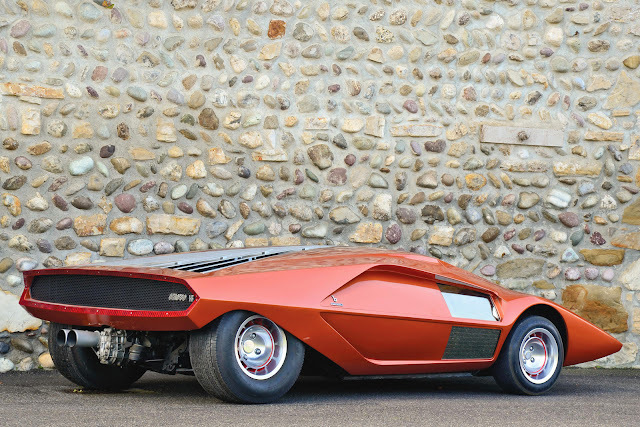 It was so low, that conventional doors where not used. Instead, drivers had to flip up the windscreen and walk into the car, to gained entry. 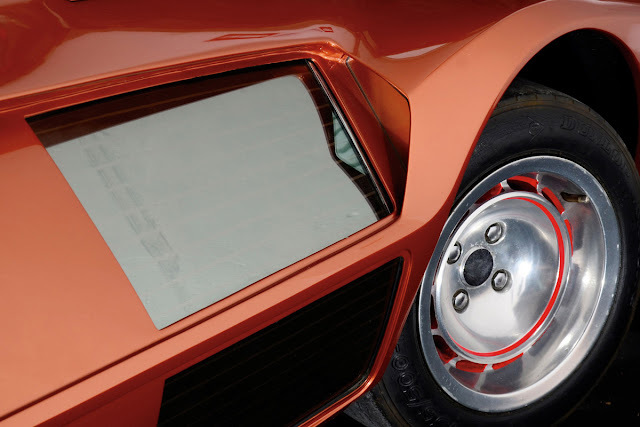 Visibility was restricted as the front windscreen was narrow, when inside. 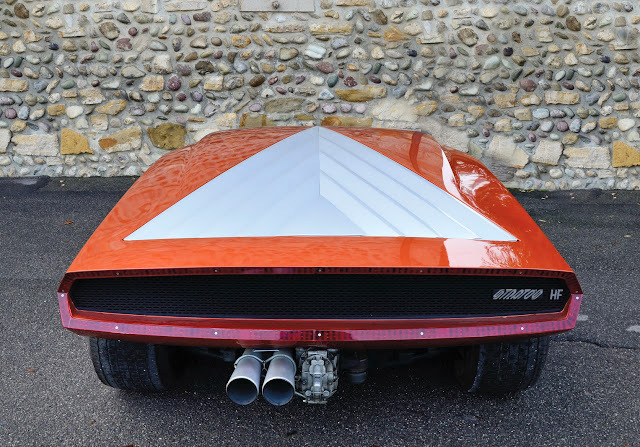 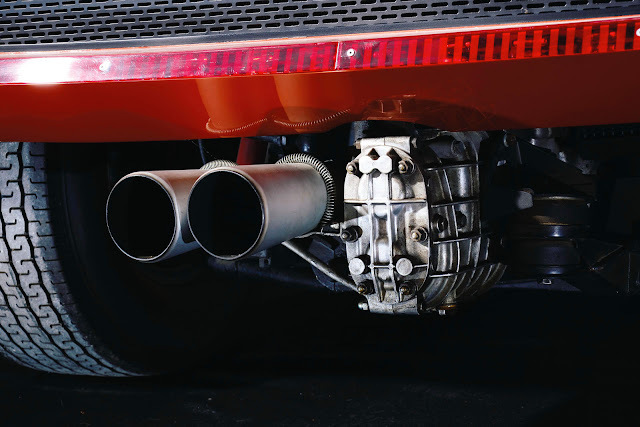 The car had a 1.6 litre V4 engine, taken from the Fulvia HF. 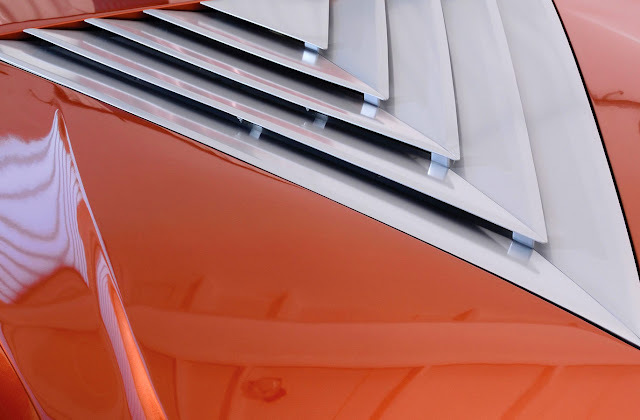 To access the mid-mounted engine, a triangular shaped panel hinged upwards.